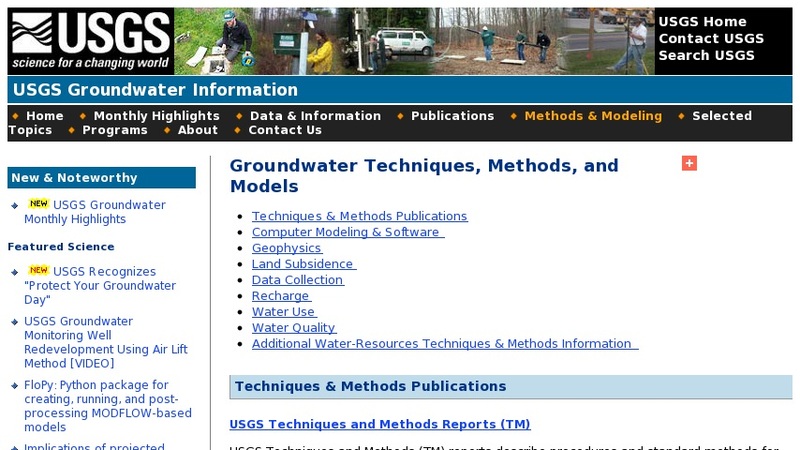 This USGS site offers a collection of documents and resources about groundwater data collection methods and groundwater modeling. The site includes several references for field methods and techniques, including well installation, sample collection, geophysical tools, and the collection of water use data. Groundwater modeling topics cover MODFLOW, HYMOD, SEAWAT, WTAQ, and MOC3D. There is also a link to an index of many groundwater modeling software programs.